Does your child have breathing problems or breathe through the mouth instead of the nose? This may be caused by the enlargement of adenoids in the throat. The adenoids are organs of the throat which sits back on the soft palate, though they are not visible. If adenoids in throats of children are enlarged, they may not be able to breathe well through the nose. · Snore when they are asleep. · Breathe with the mouth open, causing a characteristics facial expression. In case of colds, some of the nasal discharges (phlegm in the nose) will fall back on the adenoids, and will be held there by them. The mouth of the Eustachian tube is just above the adenoids, and when the child coughs or blows his nose hard, this discharge will be forced up into the middle ear, frequently causing infection or an ear-ache. 1. To clear the hindrance to the free flow of air through the nose. 2. To avoid infection from being driven into the air. It is most pleasing to see the improvement children make after the removal of adenoids when the above symptoms are present. DISCLAIMER: This post is for insight into the causes of breathing problems in children. You should however not take matters into your own hands. Visit the nearest medical physician for removal of adenoids and further instructions to be taken. I hope this helps, stay healthy! Bitter Kola botanically known as Garcinia kola belongs to the plant family Guttifereae. In Nigeria it is called oje in Bokyi, edun or efiari in Efik, efrie in Ejagham-Ekin, cida goro in Hausa, efiat in Ibibio, emiale in Icheve, igoligo in Idoma, aku-ilu or ugolo in Ibo, akaan in Ijo-Izon, okain in Isekiri, and orogbo in Yoruba. 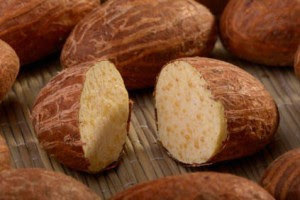 Bitter kola is generally used as a social snack and given to guests in some cultural settings, and it is one of such fruits that can be eaten raw and the human body will still benefit from its high nutritional content. Bitter kola is widely taken raw and not prepared as food because of its medicinal attributes. Due to its medicinal attributes, Bitter Kola (G. kola) seeds are used in folk medicine. This seed is also known to have no serious or harmful side effects, other than its neutralising effects of other medicinal drugs if taken together. It is eaten by removing the outer brown coated skin, and as the name implies, it is very bitter to eat. Do You Know That Tomato paste (Tin tomato) and Coca-Cola (or Malt) is the Fastest Working Blood Tonic?The mixture of tomato paste and Coca-Cola (or sometimes, tomato paste and malt) is an emergency blood tonic given to people who have just donated blood, lost a high amount of blood and people that experience dizziness. Although no one has studied its mechanism, side effects, sensitivity and dosage; it is still widely used by both old and young in Kwara state, Nigeria. A good number of students in (Kwara State Polytechnic, Nigeria) who sell their blood in blood banks to fend for themselves sell blood at least once in a week, and when they were asked how they manage to replenish their blood within a short period, they said "it was the mixture of one bottle of coke (or malt) and one tin tomato paste (the smallest size)." See also: Danger! if you don't defecate once a week. Must Read! 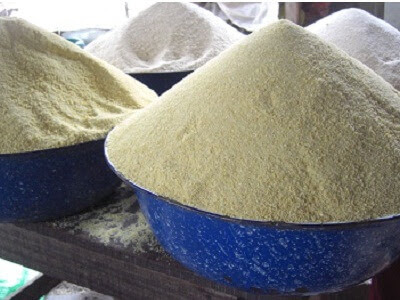 In West Africa, most especially Nigeria, one very indispensable food is Garri. The food which is derived from Cassava tubers is locally called “Garri” by many Nigerian tribes and is pronounced as ‘garry’. Other names that it is called is ‘African or cassava flakes, gari, garry, or gali’. There are many health benefits of cassava garri, and there are also effects of garri on health. the English name of Garri is always referred to as "Cassava flakes". 1st person: My Stomach hurts and I am purging. 2nd person: Ehn, go and take Flagyl, you can combine it with tetracycline. 1st person: Please buy me Flagyl and tetracycline, I will be travelling tomorrow and I need to take it before I board the bus. 2nd person: Are you purging? NOTE: Flagyl and Tetracycline are antibiotics used to treat patients with ailments. They are often abused and used to treat even the mildest of stomach ache without prescription. This is totally WRONG! It is called DRUG ABUSE. · Food poisoning: The intake of contaminated food and drinks can cause purging. Eating spoilt food can also cause purging and stomach ache. Zobo drink is one popular beverage loved by many Nigerians. 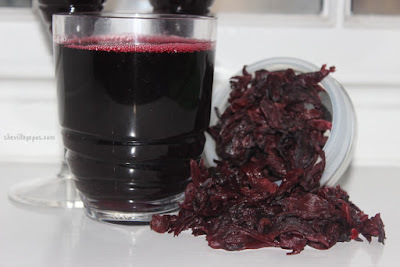 This local drink is produced from dried Roselle or sorrel leaves (Hibiscus Sabdariffa). This bright red drink is taken by many, both for every day and as a refreshment drink in parties. This drink has many advantages because it is easily available, affordable, enjoyable, tasty, and refreshing and it also has a lot of health benefits. What Zobo Drink Is Made From?